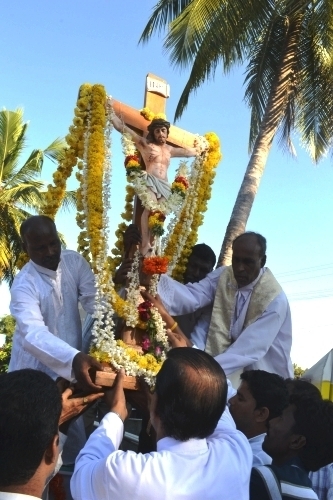 Kalmady: 05-10-2011: The Parish Priest and Parish community of Stella Maris Parish, Kalmady, receives Thy Holy cross from St. Anna’s church, Thottam that was ledon a grand devotional procession. 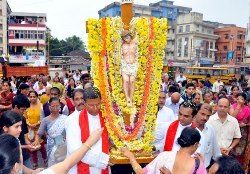 Hundreds of faithful took part from Thottam church while the carriage in which the holy cross was raised, accompanied by decorated vehicles, electrical added another attraction. 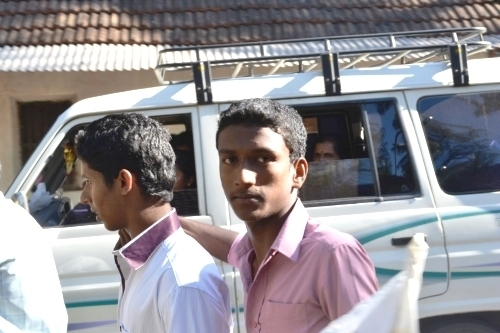 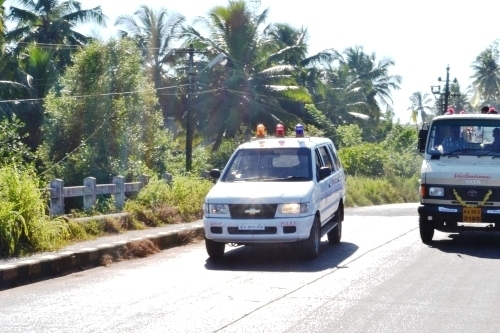 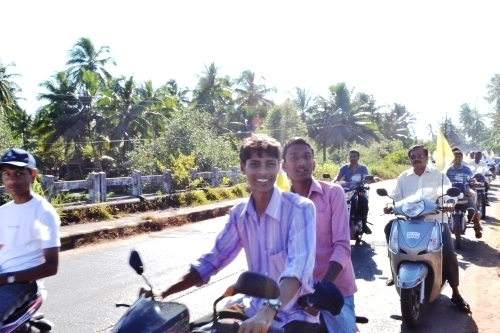 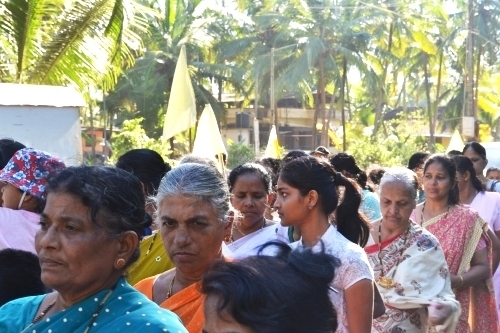 While onlookers from thottam to kalmady were taken by surprises for the discipline. 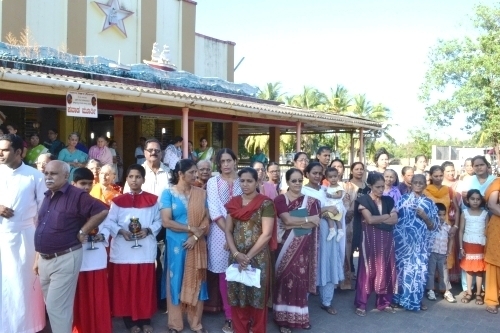 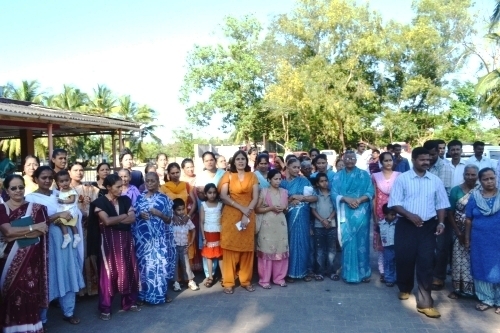 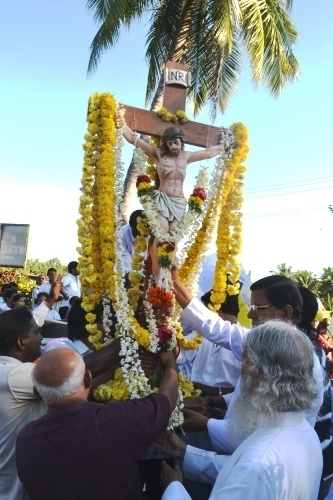 The cross was welcomed at the Stella Maris Parish, Kalmady, by the Parish Priest, Vacar Var, Preists and faithfuls who gathered in large numbers to welcome the cross. 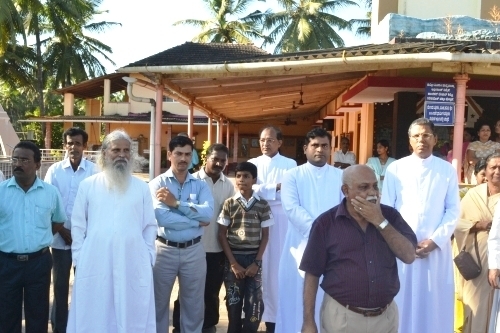 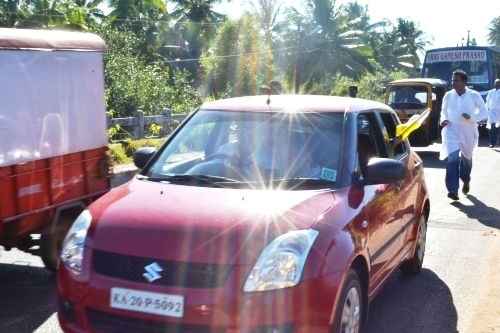 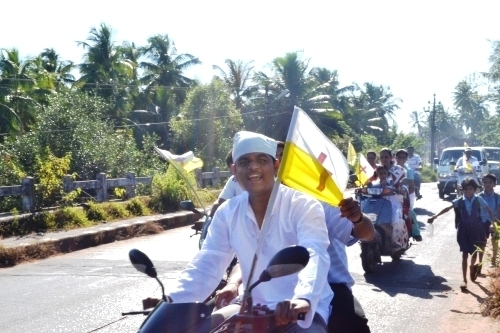 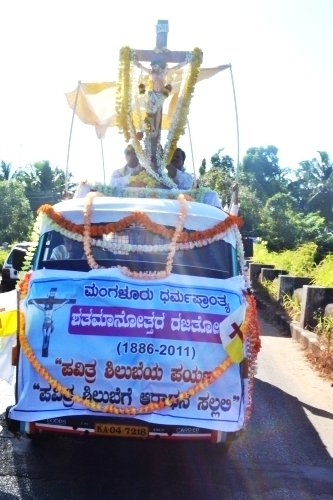 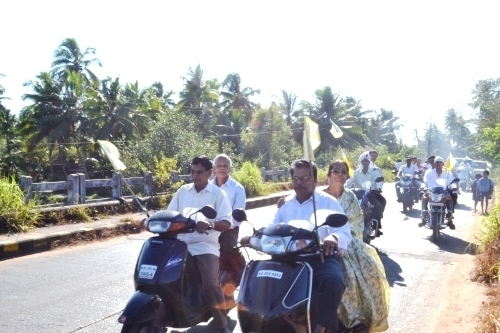 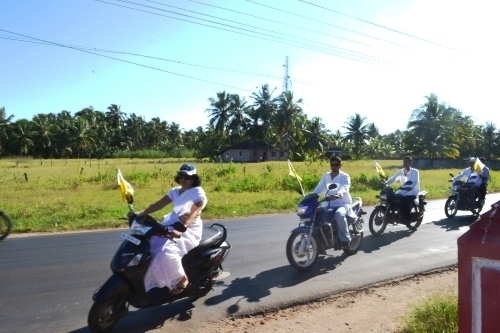 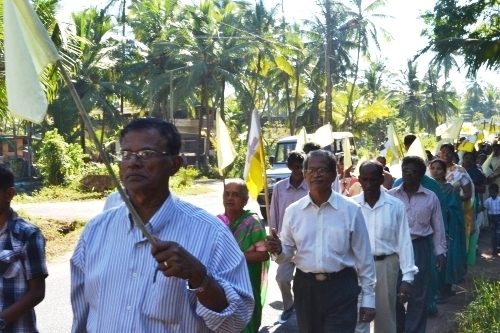 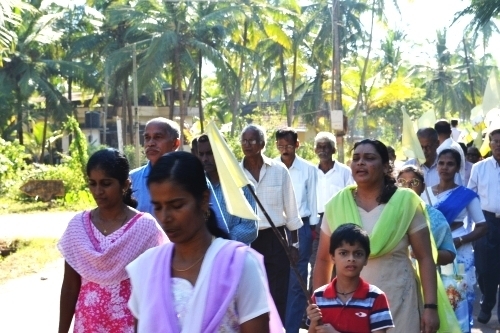 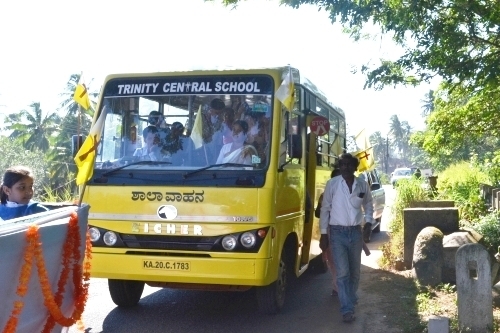 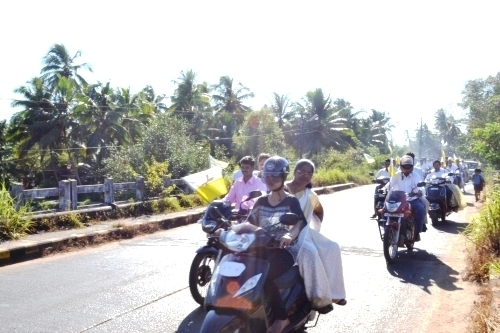 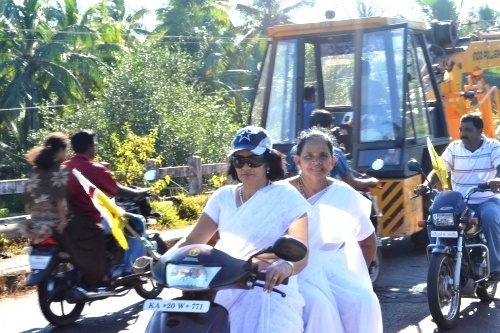 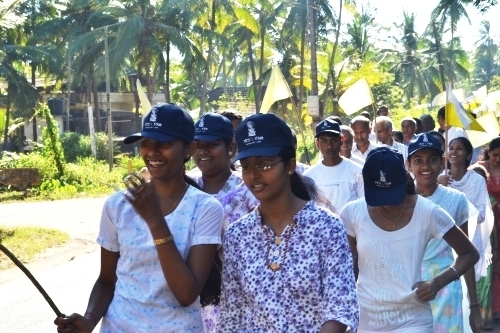 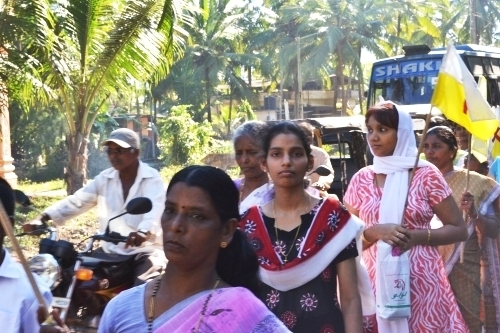 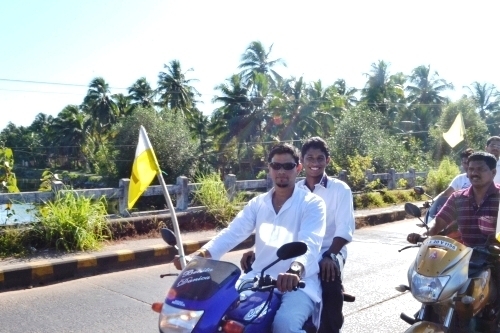 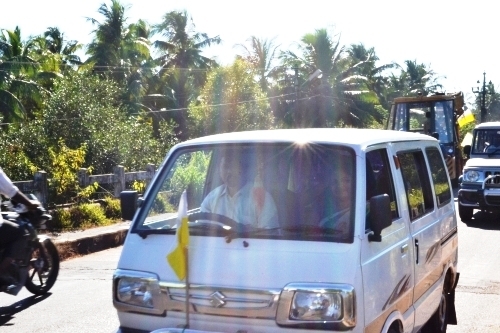 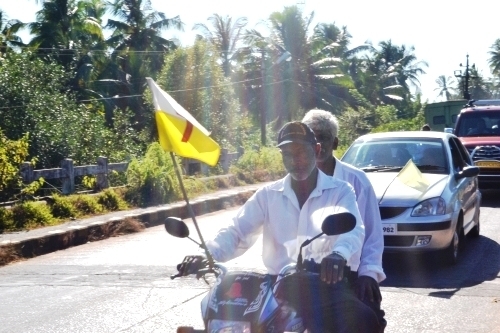 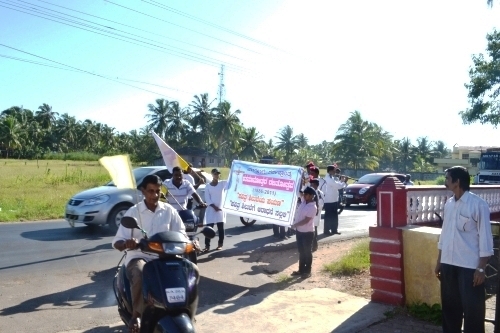 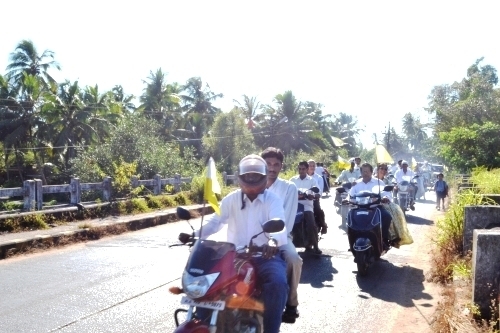 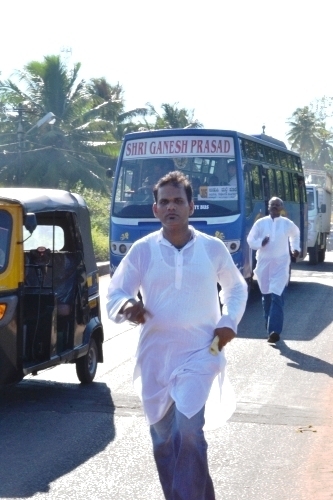 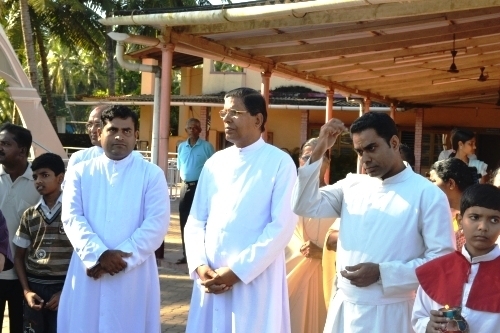 Mangalore Diocese Post Centenary Silver Jubilee cross reached Kolalgiri Parish on Saturday September 24 at 4 pm. 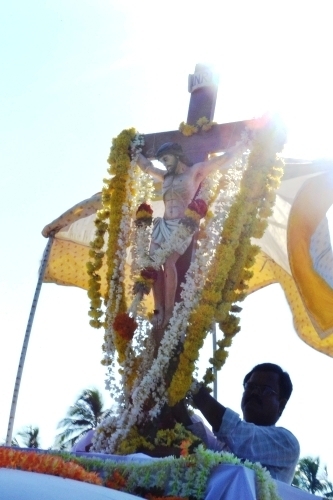 From Kolalgir the cross continued its journey towards Kallianpur Milagres Church on Monday September 26 evening at 4.30 pm from there it reached Mount Rosary, Santhekatte and on 30th September it reached Kemmannu Parish. 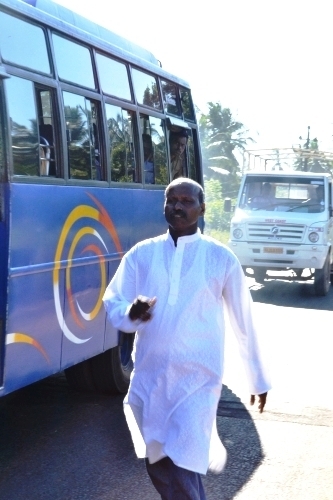 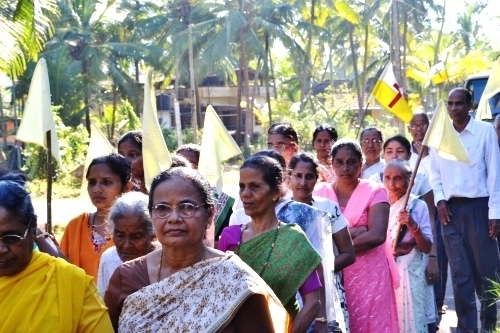 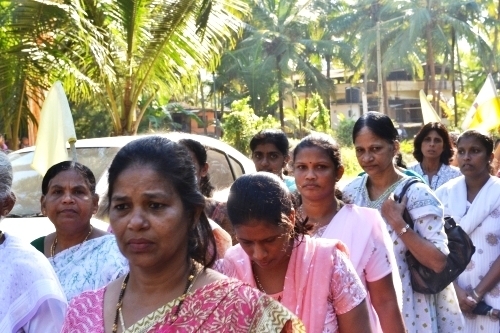 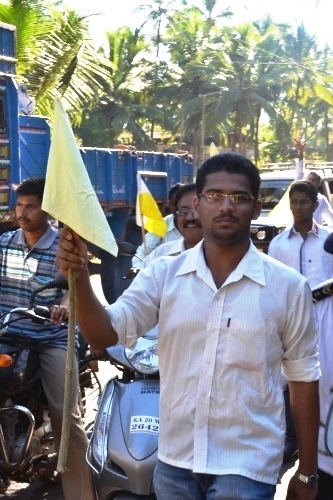 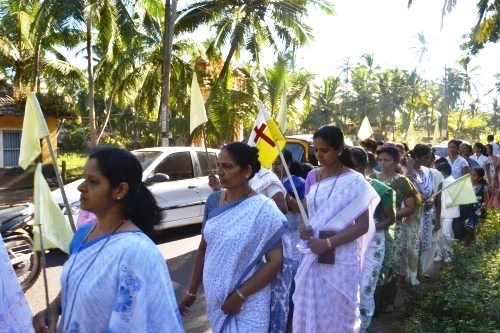 From Kemmannu it was welcomed at thottam charge and today reached to Kalmady church. 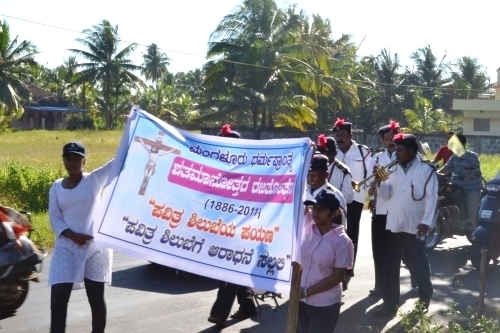 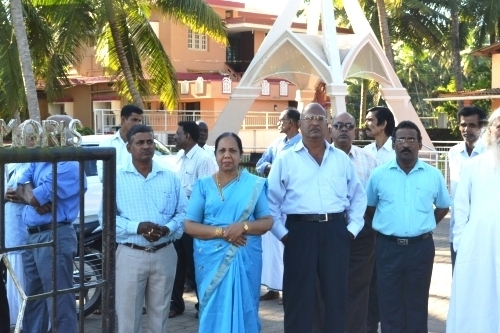 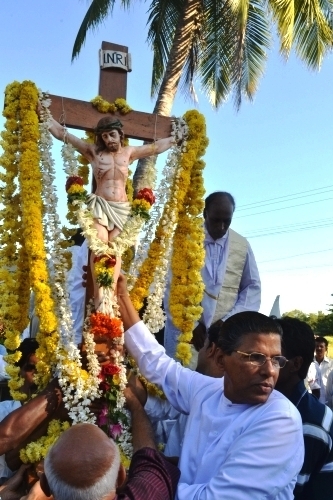 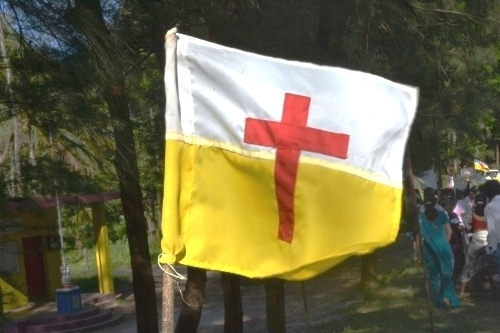 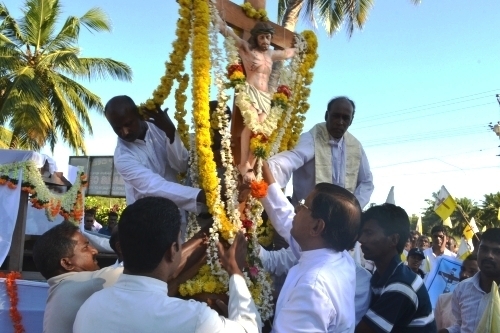 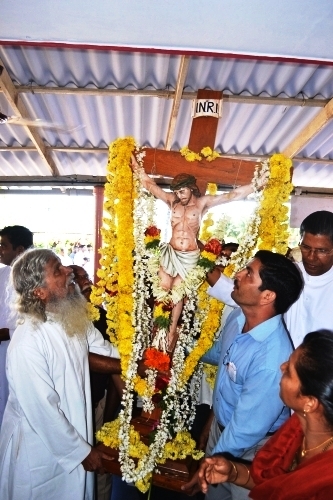 As part of the Jubilee Celebrations of the Mangalore Diocese the Jubilee cross is visiting all the parishes of the Diocese. 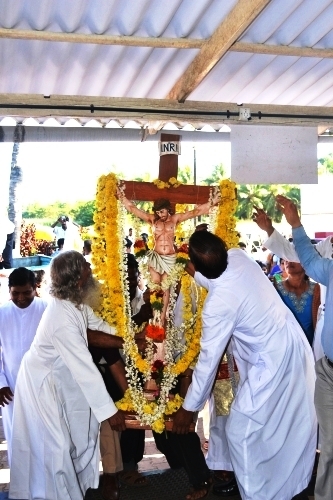 The jubilee year was inaugurated on February 6 2011 at Rosario Cathedral. 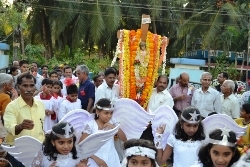 The finale of the jubilee will take place on February 11 and 12 2012. 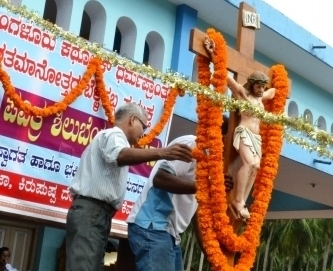 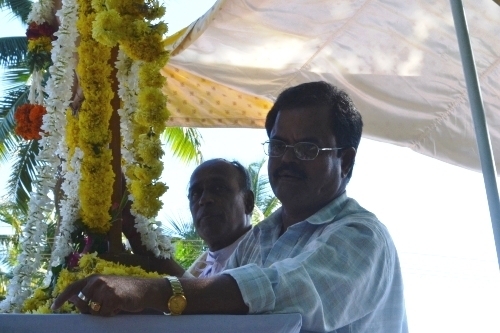 Udupi: 10-10-2011: The Parish Priest and Parish community of Mother of sorrows church, Udupi receives Thy Holy cross from Manipal church that was ledon a grand devotional procession. 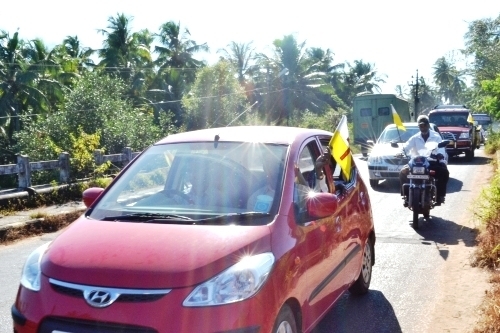 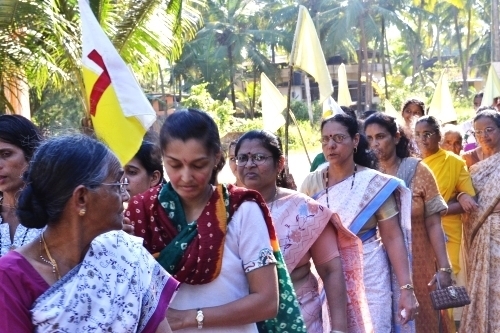 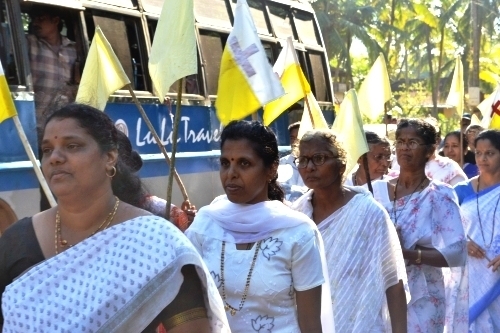 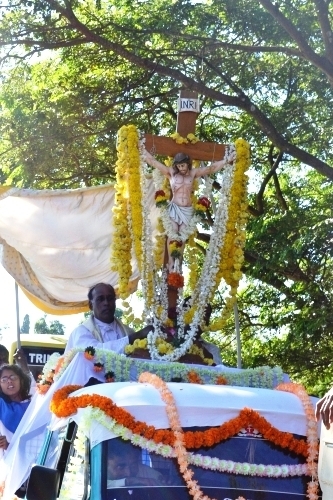 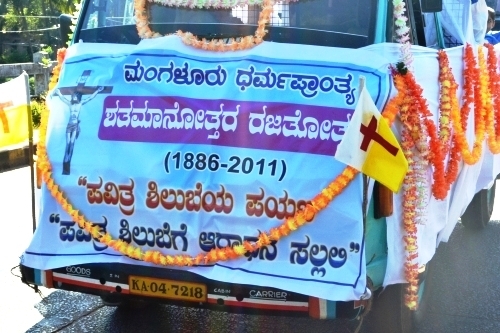 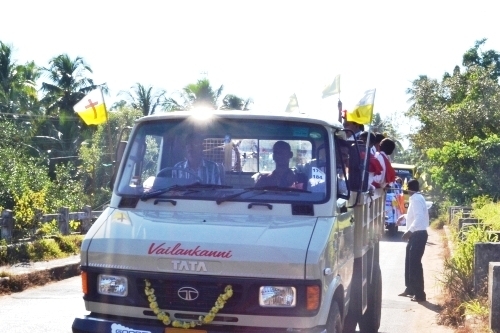 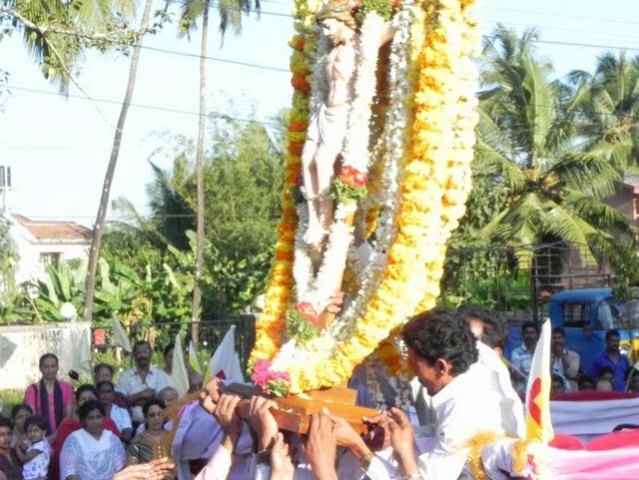 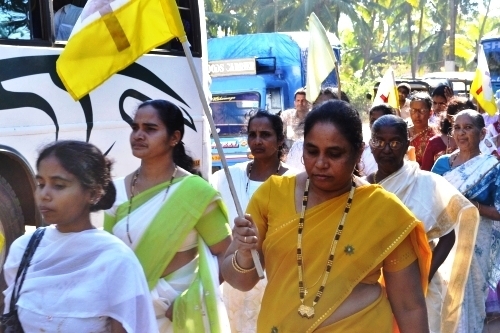 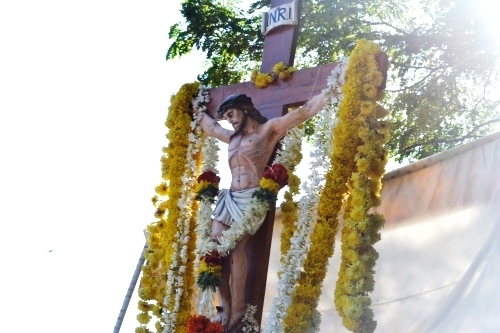 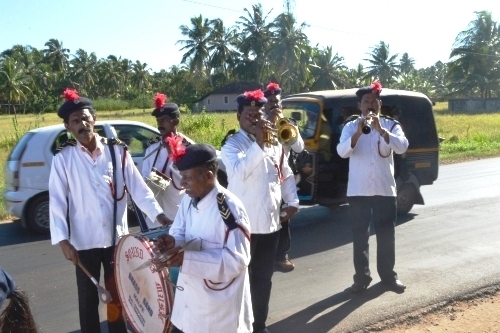 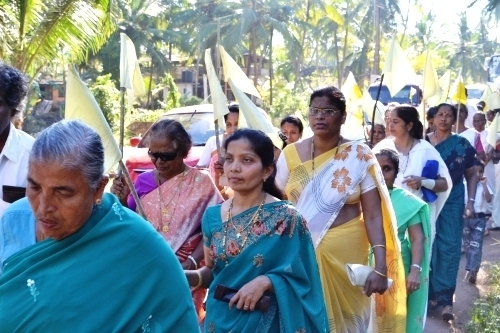 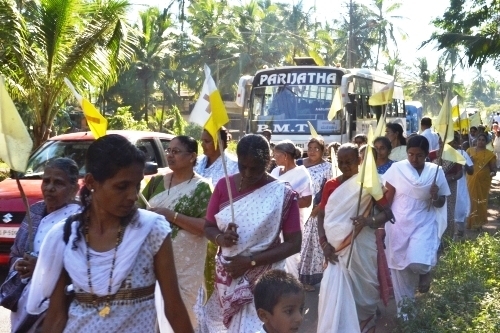 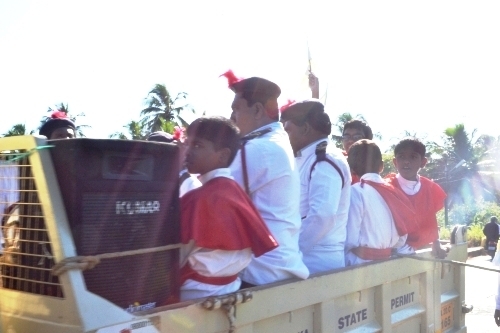 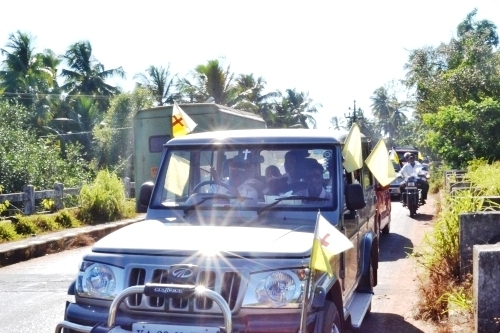 Hundreds of faithful took part from Manipal church while the carriage in which the holy cross was raised, accompanied by decorated vehicles. 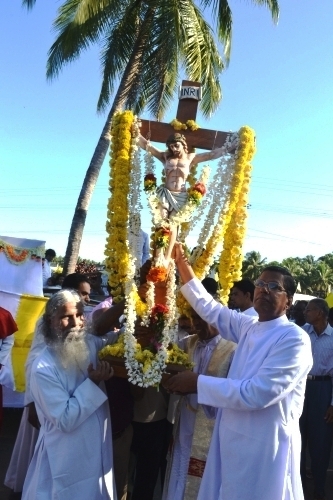 Thottam: 03-10-2011: The Parish Priest and Parish community of St. Anna,s Church, Thottam receives Thy Holy cross from Kemmannu Church that was ledon a grand devotional procession.